The 2019 season already feels so different. The Twins suffered 15 walk-off losses last season, but after two wins over the Kansas City Royals, the team has shown plenty of resiliency. They took the lead in both games, then fell behind, then rallied for two wins. Meanwhile, the bullpen did not disappoint, nailing down both come-from-behind victories. Kyle Gibson was not sharp on Wednesday, but relievers Adalberto Mejia, Trevor May and Blake Parker spelled Gibson with scoreless relief and finally preserved the win. Not that internet sensation, fan favorite, as well as interplanetary star, Willians Astudillo, needs any more attention, but that will continue if he continues to hit like he did on Wednesday. La Tortuga and fellow catcher, Mitch Garver, had six of the Twins’ 11 hits, including extra-base hits. Garver was behind the plate on Wednesday, while Astudillo played both the infield and outfield. Eddie Rosario’s bat also is coming around. After getting his first hit of the season on Tuesday, Rosie followed that with two more hits on Wednesday, including a hit in the ninth inning to drive in Byron Buxton to retake the lead, 7-6. And that’s how it ended. Jake Odorizzi gets the ball on Friday in Philadelphia. -After two games in Kansas City, the Twins now had to Philly for a three-game set against Bryce Harper and everyone else not named Bryce, followed by two against the Mets. 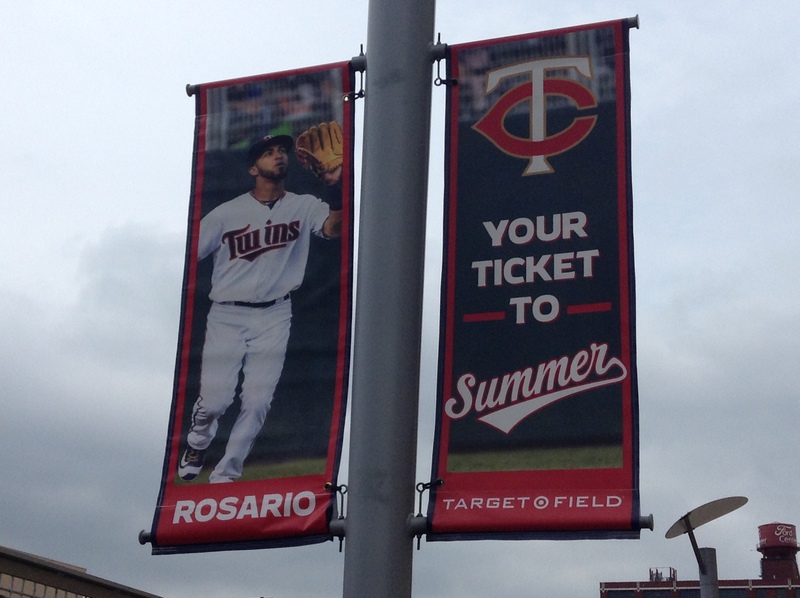 The Twins finally return home on April 12. -It’s early, but the Twins are 4-1 and sit atop the American League Central division. -A pitching line you don’t see very often: The Cubs’ Kyle Hendricks served up seven runs in four-plus innings on Monday, but only two of those runs were earned because of five errors. -Potentially good news for the Twins: The New York Yankees struck out 18 times on Wednesday in a 2-1 loss to the Detroit Tigers.